5 Hour Private Driving and Walking Tour of New Orleans. 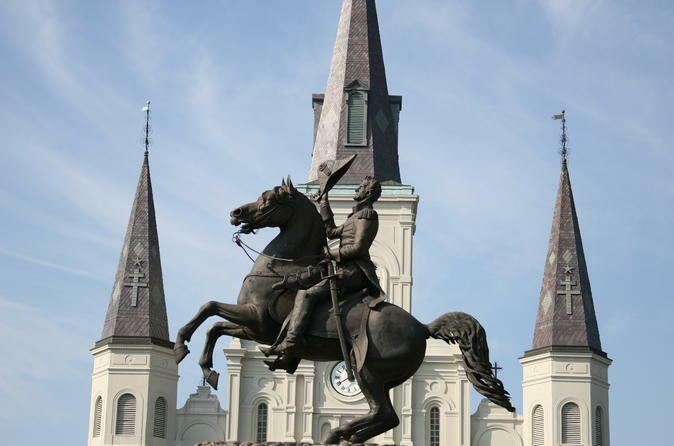 We will visit some of the New Orleans most iconic neighborhoods. We will spend time walking the streets of the French Quarter & Garden District, and then continue by SUV Uptown/Carrolton, Mid-City, and the University Area. Your guide will explain the diverse history of the city and architectural styles of the unique buildings as you travel through the neighborhoods. We will go through all the old neighborhoods, French quarter, Faubourg Marigny, Bywater, Ninth ward , Just to name a few. Learn about the different types of people and their traditions. Stop by City Park where the Live Oak Trees are 800 Years old. By the end of this tour, you will feel like a LOCAL! You can extend this tour for a few more hours if you like. Just send me a message and I will send you a custom tour linkWe will explore the city for 6hrs. We will stop for lunch or a light snack and refreshment in the middle of the tour. Please let me know if there is something specific you would like to see . Landmarks you will see.